Those who put in a Pick ‘N Save Grocery application are striving to join a company that tries to become a part of the community where they do business, while striving to become a one stop shop for their customers. Links to apply for jobs at Pick ‘N Save Grocery are at the bottom of page. Roundy’s Supermarkets was founded in 1872 in Milwaukee, Wisconsin. Originally, they were just a food distribution company, but with the opening of Pick ‘N Save Grocery in 1975, the company turned their attention to selling their products. With the construction and creation of Pick ‘N Save Grocery, the grocery stores spread across Wisconsin and allowed for two more grocery stores to be opened called Copps Food Center and Mariano’s Fresh Market. Currently, there are ninety-three Pick ‘N Save Grocery stores with over ten thousand employees in them. Their parent company was named Outstanding Regional Retailer in 2009 by Progressive Grocer. The company has two distribution centers in Mazomanie, and Oconomowoc, Wisconsin and a commissary in Kenosha, Wisconsin. In every community that they build in, Pick ‘N Save Grocery strives to give back, focusing on hunger relief, domestic abuse and violence, and literacy. At some locations where they’ve close, the company offers free shuttle rides to their nearest location in order to give people who struggle to go to the grocery store, a place to shop. Pick ‘N Save Grocery jobs at the corporate level will actually have you working at Roundy’s Supermarkets Inc. in Milwaukee, Wisconsin. All of the positions are geared towards making sure that the retail locations are providing the best shopping experience possible to their customers. Locally, Pick ‘N Save Grocery careers in the stores are scattered all over the store, making sure that everything is working smoothly and customers aren’t having any issues finding the products that they need. There are also two distribution centers and a commissary providing jobs for people in Wisconsin. How old do you have to be to work at Pick ‘N Save Grocery? Age requirements vary by position. As you browse Pick ‘N Save Grocery jobs online, make sure to read all of the position requirements carefully, because various positions need certifications, degrees, or experiences. Only people with select Pick ‘N Save Grocery jobs get benefits. Those include paid holidays, sick days, personal days, vacation days, a 401K, and education assistance, especially for people in the pharmacy department. Other benefits include affordable healthcare and, depending on the position, a chance at a yearly bonus. Customer Service Representative – Creating a positive shopping environment is a key part of this position. As such, you’ll make sure that all of the procedures are followed closely by front of house staff. When there are issues, you’ll strive to solve them. Compensation is around $40,000 a year. Bakery Clerk – You’ll make sure that everything is clean and meet company standards while offering excellent customer service and selling finished bakery products, making sure that they’re sold at the right price. Compensation is around $20,000 a year. Cashier/Bagger – As customers come to your station, you’ll give them a smile and make sure that they’ve found everything that they need. As needed, you’ll do a variety of other tasks to make sure that the store keeps working smoothly. Compensation is around $20,000 a year. Pharmacy Technician – Making sure that the Pharmacy is clean and organized while serving customers is a big part of this position. You’ll also process and organize prescriptions to state, company, and federal standards. Compensation is around $20,000 a year. Why do you want to work for Pick ‘N Save Grocery? This is an extremely common interview question, so you should be prepared for it. Talk about what drew you to the company, whether it was the company culture or benefits, and why it’s your first choice in places to work. What experience do you have? Highlight all of your relevant experience. If you don’t have any, talk about what you can bring to the position and offer the company, making sure to use plenty of examples to back up and enhance any claims that you may make. Because Pick ‘N Save Grocery relies on their customers for their business, you may be asked this question in the form of a hypothetical situation: How would you take care of an upset customer? Try to be practical and realistic as you walk your interviewer through the steps you would take in order to turn your experience around. Several positions require you to carry heavy objects or stand for long periods of time, so you may be asked: Is there anything that could keep you from doing your job? The company wants to make sure that you can do the job to the best of your ability, so make sure to talk about and explain what you need to do your job properly. How to apply for Pick ‘N Save Grocery online: select the age that you’re above before moving forward and selecting the position that you want in the store that you are located next to. Once you’ve done that, read all the position requirements closely before filling out your Pick ‘N Save Grocery application. 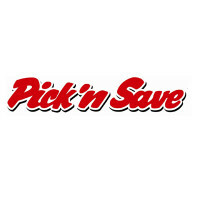 There is no printable application for Pick ‘N Save Grocery available on their website. Before attending your interview, do research on the grocery store and the industry in order to create a list of questions that you can ask. This may seem excessive, especially for an entry level position, but it will place you in front of the other candidates as it shows that you think ahead and are prepared. As your interview will be in a semi-formal setting, dress in business casual. If you’ve applied for a managerial or corporate position, it would be appropriate to wear a suit. Make sure to have a positive and friendly demeanor when you attend your interview as it will give a good impression. Show gratitude at the opportunity to interview with Pick ‘N Save Grocery. After you interview, inquire about the best way to check on your hiring status as some, but not all, candidates will learn if they got the position they applied for. Pick ‘N Save Grocery will want screen all applicants before they make a final decision on who they hire. Publix: For employment at Publix visit the application page. Waldbaum’s: See this page for jobs at Waldbaum’s. Hannaford: Visit the job application for Hannaford to apply today. Albertsons: Use the Albertsons job application to apply here. Hy-Vee: See our guide for careers at Hy-Vee.